You’re acutely aware that every social media campaign that ticks by without decent numbers in engagement is another campaign of less impact. Fortunately, entrepreneurs and brands today can take their content experimentation beyond Facebook and Twitter when attempting to climb the engagement ladder. While major brands are shifting their allegiance to Instagram according to a report, some are giving a thought to Snapchat – a social network that hasn’t been explored to a great extent. Why Snapchat deserves your attention? The platform offers a glimpse into the future of mobile marketing. Users can send texts or ‘snaps’ that arrive into the recipient’s inbox with a time limit. The sender decides how long the receiver has to view the content of the message (the range is between 1 to 10 seconds), after which the message self-destructs. This helps brands promote a sense of urgency (a cornerstone of sales) while providing consumers an air of exclusivity. So if you’re neglecting Snapchat, you’re missing out on huge chunks of engagement and possible conversions, especially if your target audience is composed of a millennial demographic. On Snapchat, however, users can’t revisit the content, so brands have 100 percent of their attention till the content’s lifespan. That’s because consumers only have 1-10 seconds to absorb the content, and then it never comes back, which means if they don’t act quickly they could miss out on that discount or holiday offer. Before getting started, you have to acknowledge that Snapchat is unlike any other social networking platform. The posts aren’t archived, the sponsored ads don’t stay there for more than 10 seconds, and there’s no hindsight (you’re as good as your last post). Snapchat’s time-limit feature makes it a great platform for giveaways because you can leverage urgency to engage your audience. Apart from promoting the giveaway on other social media platforms to gain new followers, you can use Snapchat to directly ask your audience to participate by sending in their entries, and then reply to them directly to create one-on-one interaction. You’d also want to use a hashtag to help the content gain traction. That’s because hashtags are easy to share and other users on Snapchat can start following your brand if it starts trending. GrubHub’s free grub giveaway is a good example. Last year, the company hosted a week-long scavenger hunt and named it “SnapHunt”. It posted a daily challenge for followers to complete for a chance to win $50 in free takeout from GrubHub. 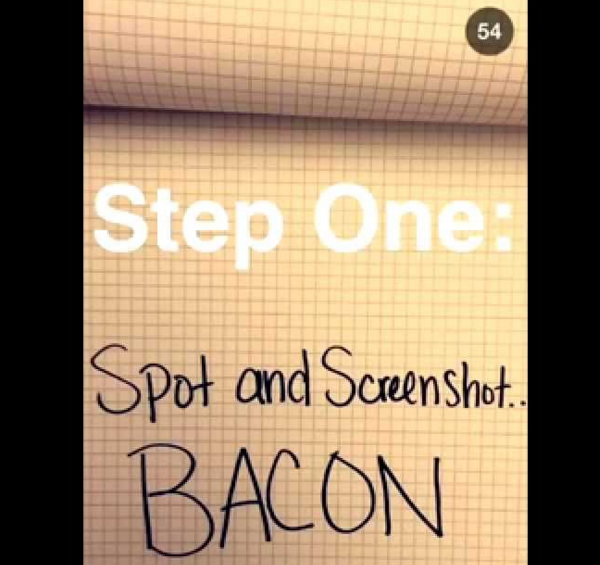 Consumers had to send a Snapchat message back to GrubHub, and 10 winners were picked each day. The next morning’s story began with a congratulations message for the previous day’s winners and their winning snaps, followed by that day’s #SnapHunt challenge. GrubHub saw 30 percent of its Snapchat followers participate in the giveaway contest and 20 percent increase in Snapchat followers because of the contest. Brands are known to collaborate with influential personalities to expand the reach of their product/service. These personalities include YouTube celebrities, Twitter megastars, and so on. On Snapchat, you can discover users with a big following (in your industry) and partner with them to promote your product to your targeted demographic in an organic way. According to Buzzoole, endorsements by bloggers carry more influence than endorsements by celebrities. Referrals by influencers carry a stamp of approval for the audience, so this could significantly expand the following and reach of your brand. 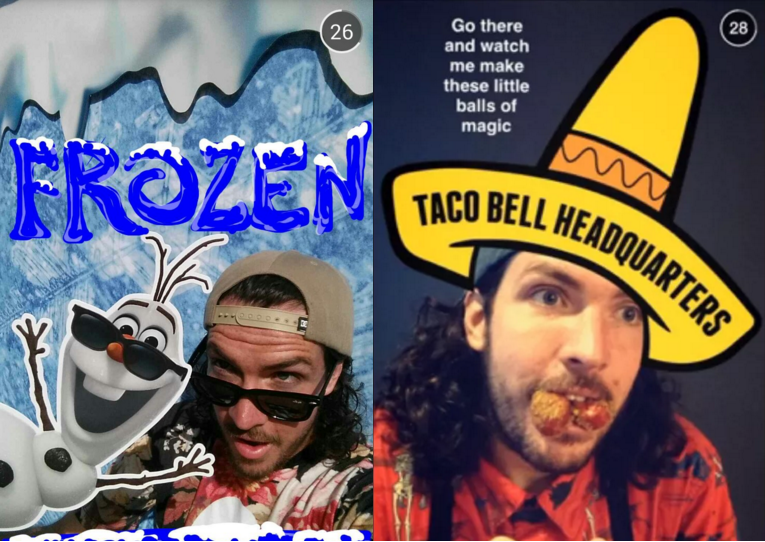 Shaun McBride aka @Shonduras (featured in the podcast) has a good Snapchat following and has completed campaigns for Disney’s Frozen and Taco Bell. But more interesting is the example of Wet Seal, the teen accessory/clothing retailer who gave a 16-year old teen influencer access to its new Snapchat account. The influencer’s name is Meghan Hughes, and she goes by the name MissMeghanMakeup in the digital realm. She has a ridiculous amount of followers on social media including Snapchat, Instagram, Twitter and YouTube. Meghan posted stories of Wet Seal clothing, which led other Snapchat users follow Wet Seal’s Snapchat account and hit the nearest retail outlet to dress in the same look. On Snapchat, you want to add a human touch to your posts; otherwise your content can be perceived as too plastic. The audience should think of you as their friend who shares important details with them. 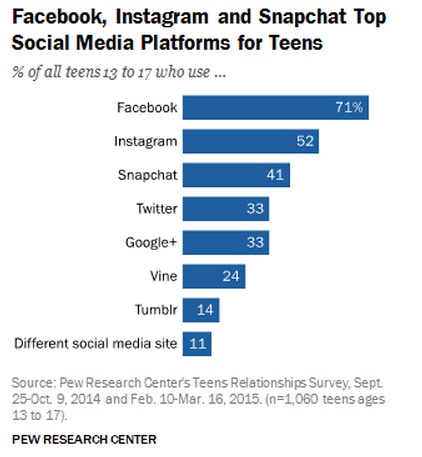 As the platform is mainly used by a young audience, you need to relate to this demographic. One way to do just that is offer behind-the-scenes footage. The audience is more likely to engage with behind-the-scenes content because it isn’t planned or polished in advance as the content in a usual campaign. Instead, it shows your slice of life, with “this is who we are” type of snaps. 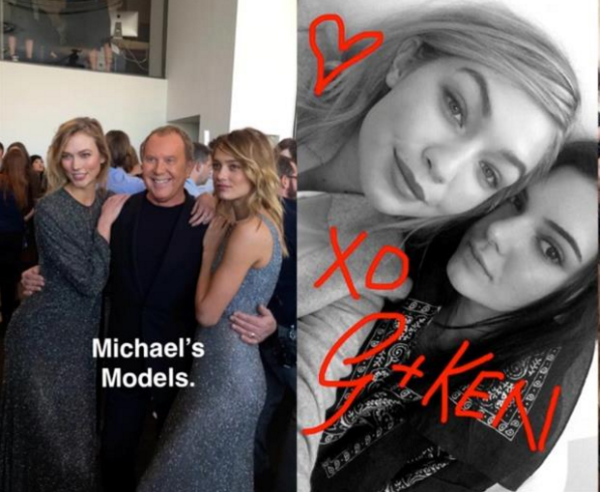 Marketing vice president at Michael Kors Lisa Pomerantz said that Snapchat allowed the fashion house to share behind-the-scenes, intimate moments from their runaway show with fans around the world. The content included snaps of designers and candid front-row shots. Real-time sharing and limited lifespan of the content kept the Snapchat audience on their toes. You can leverage the fact that Snapchat is a very interactive platform. You can easily start a question answer session to engage with your followers, and be cheeky while you’re at it. The disappearing nature of the content encourages quick replies and provides you with a unique way to interact with a young fan base. You can ask the audience about their weekend plans, or random questions like “if you could go back in time what is the one thing you’d like to change?” Formal questions certainly have their place, but you should keep it casual and fun on most occasions, even if you’re a B2B brand. There is the option to type captions on the top of snaps, as well as use the special text feature to overlay the snap with an emoji and larger text. The ideal approach is to engage and educate the audience while having a little fun doing it. Note: The Q/A could also be the other way around, with fans asking random questions. 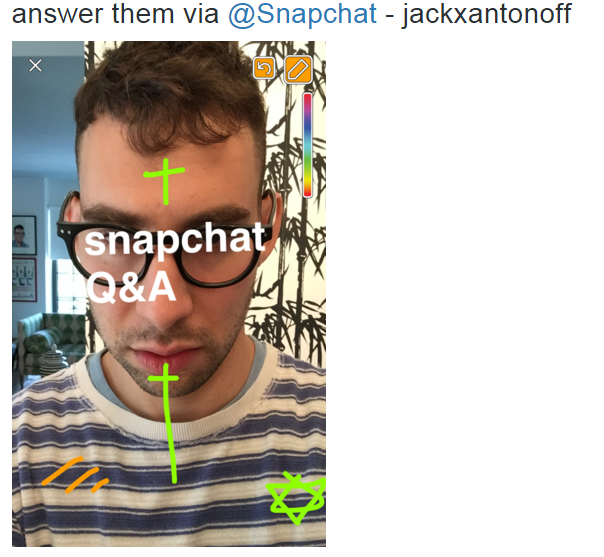 Bleachers’ Jack Antonoff aka @jackxantonoff did a question answer session with fans. Users were asked to tweet questions and Jack answered them via Snapchat. In this case, the short-lived answers kept the fans engaged. You can either take this route or post questions while asking fans to reply directly via Snapchat or another social media platform. Snapchat gives you an option to turn snaps into stories, which is basically a durable collection of videos and photos. Brands can create one story, and later add new content to it. For instance, you can add one image at 12 pm, two images at 3 pm, and so on… At 12 pm you can show the blurred image of a new product, making it more visible as the hours go by. Or add close ups of some of the product’s features. Before creating any Snapchat campaign using the Stories feature, you should go to your Snapchat account and permit all followers to see the stories. You should also allow followers to send snaps back to you. Otherwise, you may need to approve snaps sent by each follower individually. Note: Earlier in the year it was reported that Snapchat is no longer offering “Brand Story” ad units, which were like Facebook ad units. These allowed companies to push photo and video-based stories to users who weren’t following their Snapchat account. 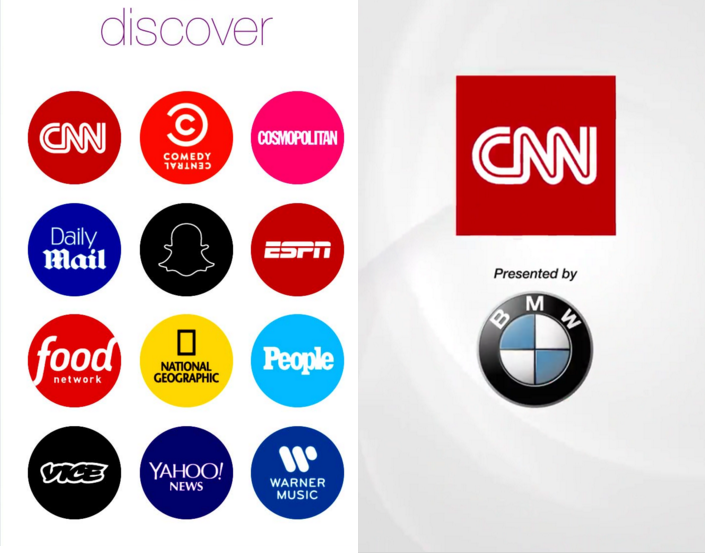 Instead, Snapchat is focusing on its two other ad options: Live Stories and Discover. Live Stories is a feature where Snapchat users can share videos and photos of a live event. Think of it as a crowd-sourced, live documentary created on the fly by the Snapchat community. Brands can pay to have a 10-second spot for their advertisement in a live story. Discover allows brands to get their content in front of a targeted audience. Industry sources report that Discover ads cost 2 cents per view. Publishers such as CNN, ESPN and influencers sell ad space to brands, and then brands buy a specific quantity of ad units depending on their budget. According to Sprinklr, the beer brand Bud Light sponsored a Live Story at the time of the Whatever USA festival. The campaign was restricted to users who were above the legal drinking age (users enter their age when signing up for a Snapchat account). 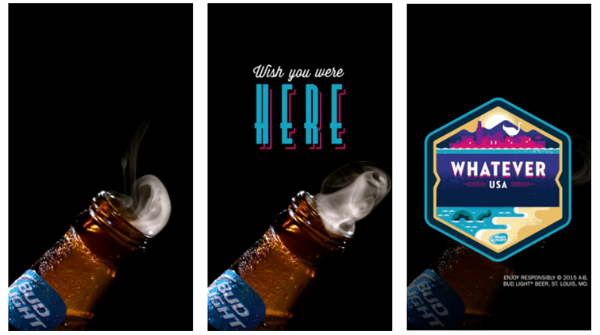 10-second Bud Light ads were shown during the user-generated snaps curated by Snapchat. The call-to-action on the advert was “Wish you were here” which played on the fear of missing out on all the fun. BMW appeared on CNN’s Discover channel. The car maker bought the spot to connect with Snapchat’s younger audience. The ad included the BMW logo below the CNN logo as well as video ads for BMW’s i3 vehicle between news stories broadcasted by CNN for a 24-hour period. CNN itself uses Discover. They focus the content on short video highlights of the day’s news that viewers can quickly share with their friends. Snapchat is getting serious about competitive marketing solutions. The features and developments mentioned above are giving brands an opportunity to try and test new things to engage with their audience. That said, it is still a young platform when it comes to distributing content. Marketers are just getting started, which means there’s an opportunity for you to attract followers and building an active community without facing a lot of competition. What are your thoughts? Have you considered Snapchat for marketing your business/brand? Feel free to leave comments. While I agree with you that it’s getting insane, these are also all opportunities. If we get too old to stay up to date, we may as well quit the game. I never thought that we can use snapchat for marking not only me i think only few people are aware about it. This is surely going to very helpful for me. Still I am confused. May be its good but need time to fully understand this.but one think surprised me.Snap chat is get more audience than twitter! !! We love SnapChat for our younger audience – It is great for delivering “behind the scenes” content to your brand ambassadors!